As reported be a Belgian student. Beautiful light in that shot! I thought I wrote someplace about Tall Ships Race calling Ålesund in 2015, but I can't find my post. 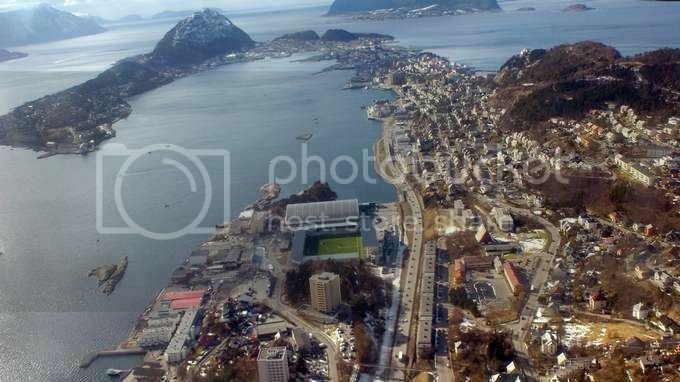 What happened to Ålesund...?? Something I missed....??? I read someplace that they (TSR) are still talking about Ålesund 2015, so this city might be a second port of call for that race then, or...? Last edited by Sterkoder; November 19th, 2012, 08:13. Ålesund is one of the harbours in 2015, together with Kristiansand, Belfast (Gb), og Ålborg (Dk). "Bergen will be a port of call in 2914" you wrote. That is about 900 years into the future. Long time planing?? Hahahaha....., 2914..., yeah, I got contacts you know. Last edited by Sterkoder; November 19th, 2012, 23:20. How did Norway's 2nd ugliest building become Norway's ???? ugliest building???? It is still a big brick, but MAYBE more acceptable??? My honest thoughts... ? hmmm.... old concrete balconies are out, and new glossy reflective glass-panes are in. In architectural terms, there is nothing "waow" about the building - neither before or after, but it does look a lot fresher after the new glass have been added. I can imagine the reflections in the glass would be good as photographic objects. In the fly-over of the video, I'd probably like to see a green mini-forest, or green grassy lawn on top of the roof instead of that simple grey sand/stone. Heu...From 1977 to 2012 I guess Aalesund's taxpayers had a lot of fun...if they have a good sense of humour!! Aalesund Airport, Vigra has been selected as the most beautiful (or impressive?) approach in Norway. Worth millions in advertising dollars and all for free. But the article above sounds like it was written by the local tourist promotion board. Looking forward to receive the NG Traveller Magazine for Febr./March soon. I also saw a cut from the big Techno Show in Las Vegas the other day, where they showed off the newest in hightech displays. Last edited by ombugge; January 14th, 2013, 06:59. There have been reports about this on CVF before, but I don't know if any member has actually stayed there??? 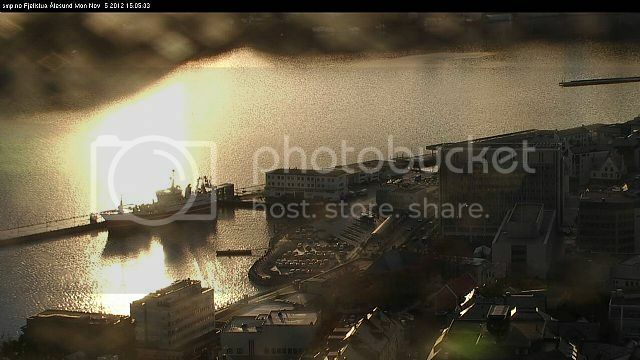 I've just campared my calendar to the visiting cruise ships to Ålesund Harbour 2013. It seems like it will not be so many trips to the beautiful city this year as it has been the past couple of years.